Tag it. Track it. Retire-IT. Retire-IT developed disposal tags to make ITAD management easier and more effective. Tags make tracking easy. There are other benefits, too. 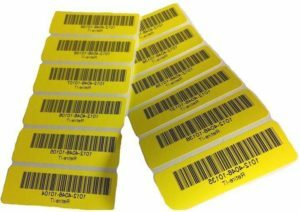 Disposal tags deter employee theft and establish unbroken chain-of-custody. They also delight privacy professionals and compliance auditors. In addition, online software automates the time-consuming task of inventory reconciliation. No longer worry about the whereabouts of your assets. Instantly prove vendors have custody. Tags are provided as a free service. Some restrictions may apply.